Enjoy a combination of Badian's most famous attractions in a private guided join in day tour! Make a splash as you bravely jump off towering cliffs as high as 30 feet! 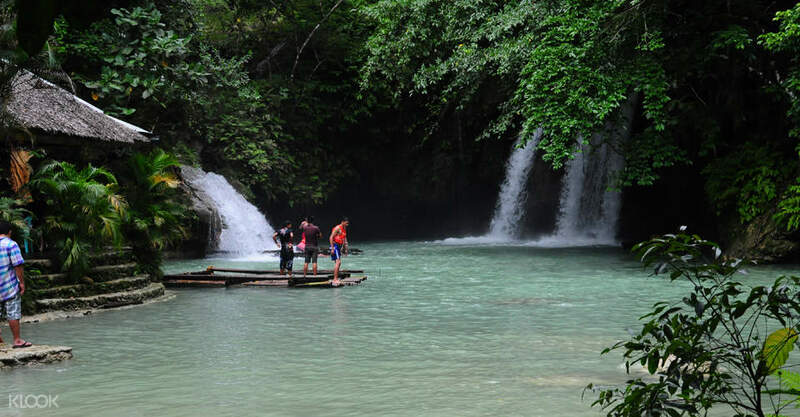 Visit Kawasan Falls, a three-stage cascading waterfall and one of the most beautiful falls in the Philippines! This was an amazing way to enjoy nature. Not for the faint-hearted and can be quitw dangerous but following your guide and being alert will keep you safe. Would definitely do this again if I get the chance. 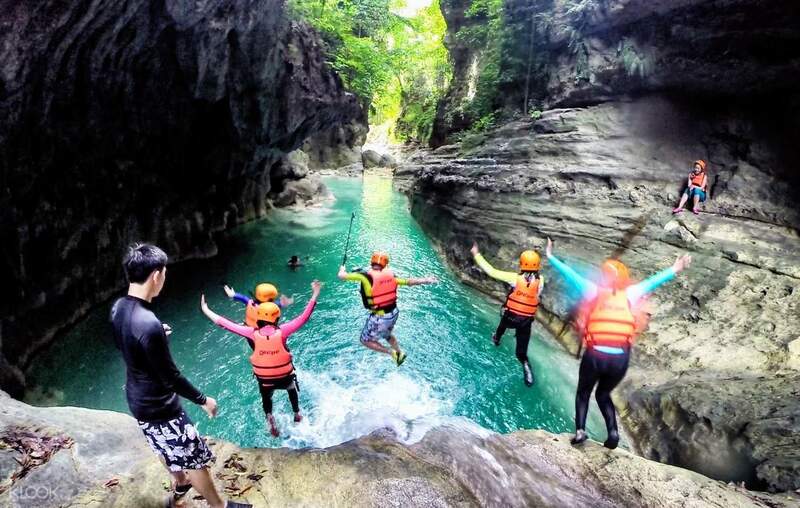 If you've got a taste for a real, heartstopping adventure at the heart of Cebu, canyoneering at the famous cliffs of Badian is the answer. 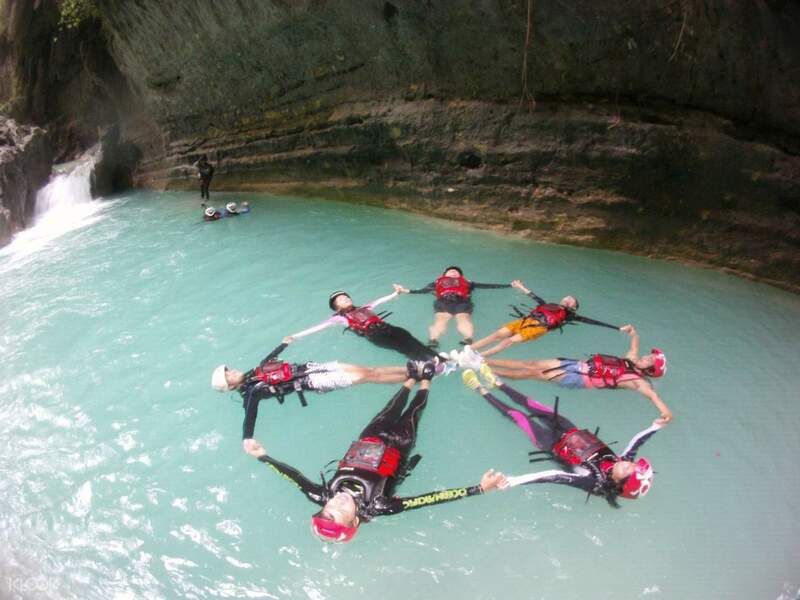 Flocked by thrill-seekers from all over the world, Badian is known for its canyoneering. See for yourself in this exciting tour of the province. Once booked, your pick up will take you from your hotel to Badian, where you'll be given time to find breakfast. Eat up because you'll need your strength once the trek and canyoneering activities start. The challenging tour will start at 10:00am, where you'll put your skills and courage to the test as you jump, rappel and swim through the cliffs, leaping off 30-foot high cliffs and into the water. 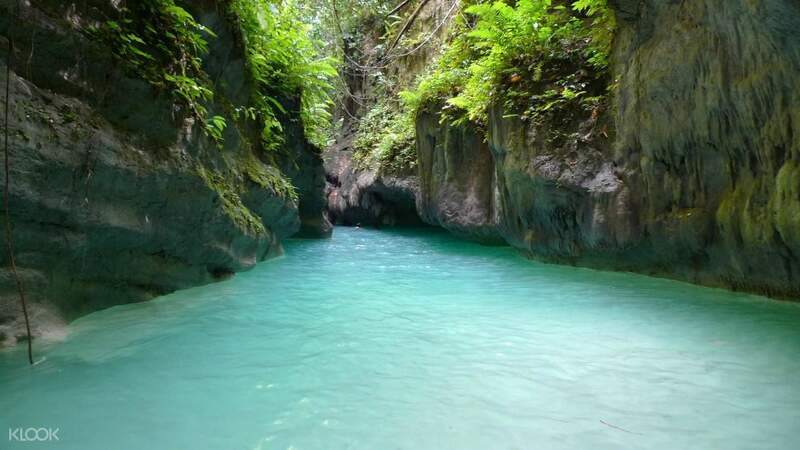 Then it's lunchtime at the beautiful Kawasan Falls, where you'll see turquoise waters perfect for a post-lunch swim. These spectacular waterfalls are clear and picturesque, so make sure to bring your camera for documentation. Finish off the tour with a photoshoot before you are taken back to Cebu City and to your hotel. Bring all your friends for an exciting exploration of Badian's natural attractions with this exciting tour from Klook! Experience climbing steep rock formations and then jumping off from high cliffs in this extreme adventure tour! With its crystal clear waters and idyllic natural scenery, you'll definitely take home lots of creative photos! From Dalan Osmena Avenue, take the exit of Gen. Maxilom Ave. This was an amazing way to enjoy nature. Not for the faint-hearted and can be quitw dangerous but following your guide and being alert will keep you safe. Would definitely do this again if I get the chance. This was an amazing way to enjoy nature. Not for the faint-hearted and can be quitw dangerous but following your guide and being alert will keep you safe. Would definitely do this again if I get the chance. I made a reservation by myself, but a total of 4 people from one team in three minutes proceeded. The pickup is waiting for you to arrive early, and I was really looking forward to a Badian car, but it is so funny and so good that it is not disappointing. Those who enjoy activities and thrills can dive and experience unforgettable experiences. It is called lunch, but it is free for lunch! It was so nice to give a simple lunch on the last diving course. If it is a blemish, it will take about 4 ~ 50 minutes to walk and you will not be able to take a shower right after the end of the shower. If you are alone, please do not worry about it. 혼자예약했는데 3분있는 한팀 총 4명이서 진행하였습니다. 픽업은 일찍오셔서 기다리고 계시고, 바디안캐녀닝 기대 정말 많이했는데 실망스럽지 않을정도로 재밌고 너무 이쁩니다. 액티비티와 스릴 즐기시는분들은 다이빙 신나게하면서 잊지못할 경험할수있어요. 점심 미포함이라고 되어있는데 점심 무료입니다! 마지막 다이빙코스에서 간단한 점심주네요 너무 좋았습니다. 흠이라면 총 4~50분정도 걷는다는점과 캐녀닝 종료후 바로 샤워를 못한다는점 정도? 이 가격에 이런경험 평생 못할경험이니 혼자 오신분들도 걱정마시고 편하게 신청후 즐기시면 됩니다! The guide was very friendly and pleasant. I dived at all the diving points, did the caring, got some hurt, and I was tired. But it was a really perfect and wonderful experience. 가이드는 매우 친절하고, 유쾌했다. 모든 다이빙 포인트에서 다이빙을 하고, 캐녀닝을 하며, 약간의 상처들을 얻었고, 몸은 피곤했다. 그러나 정말 완벽하고 멋진 경험이었다.